In the spirit of genealogy, families, and connectedness, I have turned my attention momentarily away from the pursuit of all things Gallagher and towards my wife’s distinguished family tree. My wife’s surname is Hyun (현 or 玄), but she is descended from the Seo (서 or 徐) family of Daegu, Korea. The Seo family was of relative importance in the area around the turn of the 20th century. The patriarch of this family was a man named 서상돈, whose picture is above. 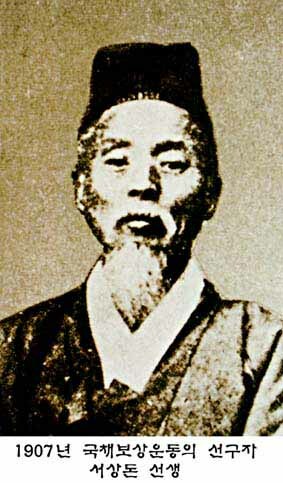 서상돈 (Seo Sang Don) was a merchant whose family moved from Seoul to Daegu in his early youth. He made a small fortune in textiles (or so it seems) and then worked in local government for some time. He also seems to have some patriotic appeal for Koreans as well. Korea at this time (until 1945) was a Japanese colony and there was some resistance occuring in various parts of the (then unified) peninsula. Kim Il Sung‘s family was supposedly slaying Japanese (and American sailors) with their bare hands and a host of other liberation movement and future Korean leaders were establishing their bonafides. 서상돈 went a different route. 서상돈 helped organize and execute something called the National Debt Repayment Movement (국채보상운동을), which attempted to develop some economic self-reliance to avoid relying completely on the Bank of Japan for funding (often at rates deemed extortionate by Koreans). 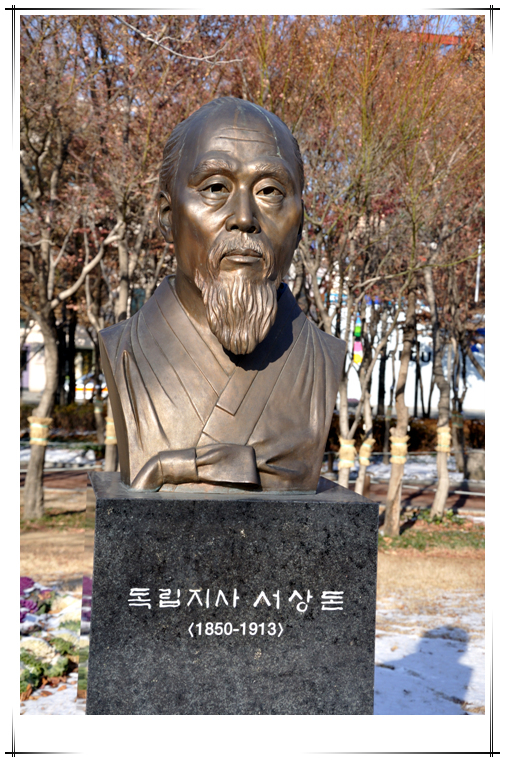 Overall, this movement failed, but it was remembered fondly enough by Koreans in Daegu to build a park (국채보상운동기념공원이다) dedicated to the movement and to include a bust of 서상돈, my wife’s great-great grandfather. Also of interest to this 서 family is their Catholicism. The family was Catholic stretching back to at least 서상돈’s grandfather, which places that towards the beginning decades of the 19th century. 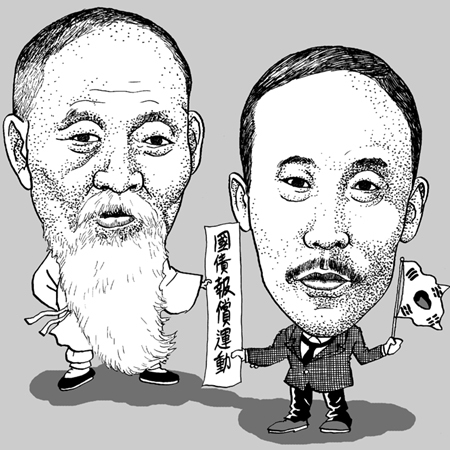 The history of Catholicism in Korea (or of any Christian religion) is complex (it still is). Generally, it is believed to have started with a convert named 이승훈 (Yi Sung-Hun) who was baptized in China and returned with Catholic texts and materials. He was later executed in 1801. If interested, there is a decent historical overview available at the Chon Jin Am site. The Korean Catholic Church did not receive any foreign (French) priests until 1836, so it stands to reason that the 서 (Seo) family converted a bit before then. They luckily managed to escape the persecutions that followed (several), especially the Byeonmin Persectuion of 1866. This particular persecution (thousands were executed) is the basis of the Jeoldusan Martyr’s Museum, an interesting museum in Seoul of Korean Catholic history. I suspect this is part of the reason that the Seo family moved from Seoul to Daegu when 서상돈 was younger. Besides, you know you are relatively famous in Korea (and Asia) when they put you in cartoon form. Note: the research here is as sketchy as my rudimentary Korean. Please feel free to let me know if I have misquoted or am erroneous in any of my conclusions.